It’s one of the most common questions asked of people who plan to—or already do—homeschool their kids: What about socialization? Next time you find yourself on the business end of the infamous socialization question, try countering with a question of your own—asked with kindness and grace, of course! Here are five ideas to get you started. To the person concerned about socialization, reply with one of these rejoinders. Obviously, we all want our kids to be out meeting people and learning about the world. We want them to form friendships and have healthy communication skills. Let the person you're conversing with know that these things are important to you as well. However, consider digging a little deeper into what the other person means by socialization. Do they simply mean “being in the presence of other people”? Are they concerned your children won’t be able to form friendships? Are they worried your kids won’t know how to act in a large group? Do they think your kids will never be invited to a birthday party? By pinpointing what the other person means by the term socialization, you will not only know how to steer your conversation, but you might lead them ask themselves, “Hey, what do I mean by that term?” It’s quite possible they’ve never really thought about it much less had to articulate it. Since the majority of people who ask about socialization come from a public school background, it makes sense they met most of their childhood friends at public school. Even so, very rarely will anyone think back on their childhood and answer this question with something that actually happened in school. Ask this question because it helps to get people thinking that while their friends may have been introduced to them in school, the fun times they remember most likely had nothing to do with school but took place after school or during summer vacation. We all continue to meet people and make friends after we graduate. You know—when we’re finally out in the real world. For many people who attended public school, there is a disconnect between how we form friendships in our school years and the way we do the same exact thing once we’ve reached adulthood. It’s common for people to believe there is something special about public school that allows it a monopoly on friendship building. The truth of the matter is there are countless opportunities to meet, converse, and experience life with other people that have nothing to do with sitting at a desk in a classroom. As homeschooling parents, we’re living this truth every day with our kids! Interestingly enough, when people reach adulthood, they often find that their friendships spread out to include people with a much larger range of ages, interests, and backgrounds than they were exposed to in school. Some of us married our high school sweetheart, but some of us married someone ten years our elder. Some of us are still best friends with the person we sat next to in elementary school, while others of us are besties with someone who was just entering elementary school when we were learning to drive. Even a few years age difference seems like a big deal when you’re in public school—which just isn’t the case when you step outside the public school doors. 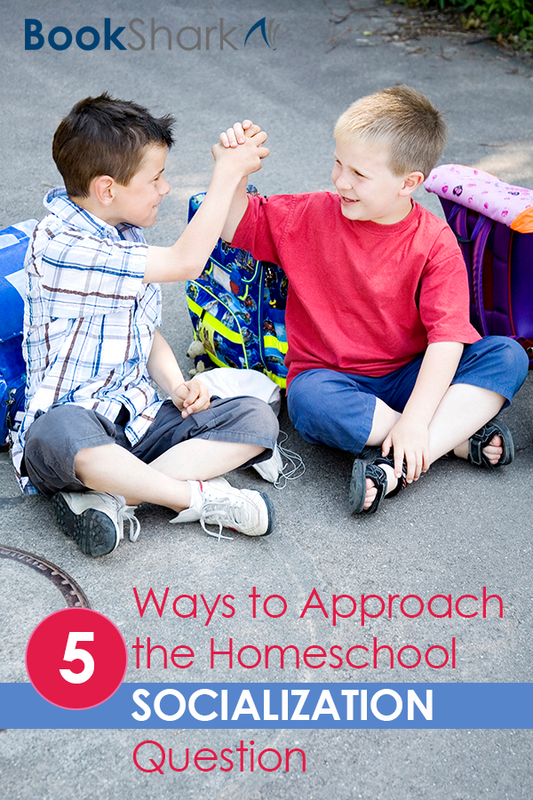 The great thing about homeschooling is that our kids can dip into a social circle composed of a wider range of ages and backgrounds far before they reach adulthood. Most adults approach the topic of socialization in school as they remember it being when they attended. Back when I was in elementary school, lunchtime was plenty long enough to digest your food, and there was still lots of time left at recess to play. That isn’t necessarily the case anymore. Many schools enforce silent lunches! Let’s be honest—the more rigorous and test-prep-based public school becomes, the less time kids have for hanging out and socializing while they are there. The socialization question is quite possibly the most commonly asked question asked of both new and veteran homeschoolers. If you find yourself wondering how to respond, consider asking a question of your own. Not only will you open the lines of communication, but when done with kindness and grace, you might just find the opportunity to change some minds. Amy Dingmann lives in Minnesota with her husband where they have been homeschooling their two sons since 2007. Her hobbies include filling up her sons’ bottomless pits, drinking a lot of strong coffee, and smiling. Her least favorite subject is math. Her favorite subjects are everything else. She likes talking to other homeschooling parents and assuring them that even though they worry they’re totally screwing things up, they actually totally and completely rock. 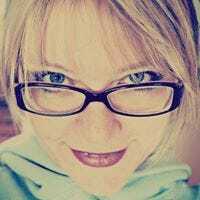 Amy blogs at The Hmmmschooling Mom, and works as an author/speaker on homeschooling and parenting/family topics.